It’s the last day of March. 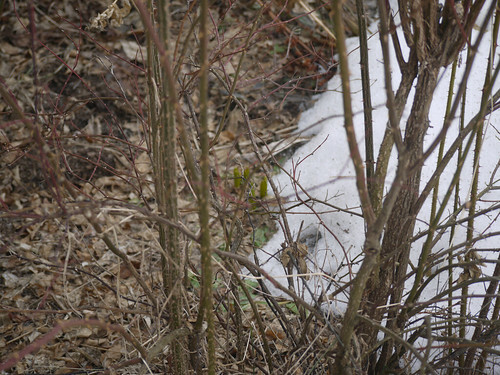 The snow has really started to melt recently. The entire driveway is snow and ice free. The goat pen gate swings freely in both directions. 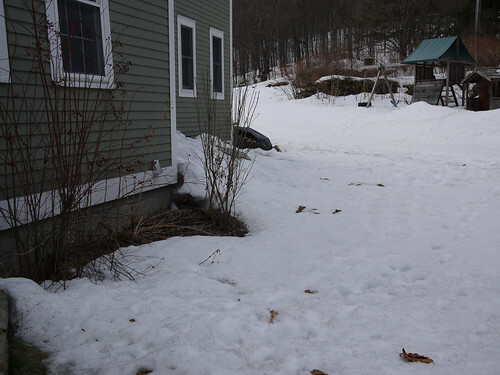 The septic tank advertises its location by revealing a perfectly shaped, snow-free rectangle in the middle of the lawn. The sun is up when I go to milk in the morning, and it’s still up after dinner at night. Of course, a nor’easter is winging its way here as I type, and snow will start to fall this afternoon or evening, and some reports say we’re due to get 9 – 18 inches of that heavy, wet, tree-limb and power-line downing snow by tomorrow night. Some April Fool. No matter. I have proof there’s reason for hope. Sigh. 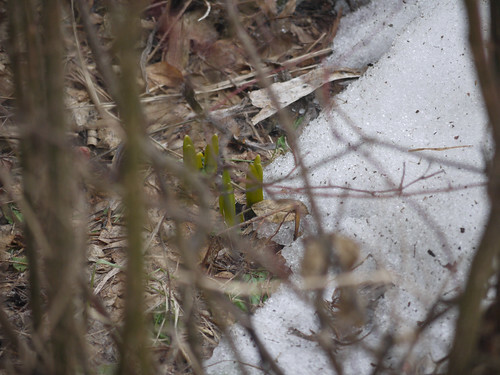 We’re so close… Great to see some green. All that’s coming up in our yard are last year’s manure piles.